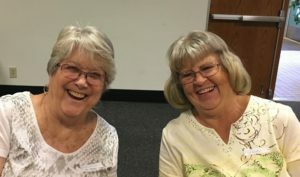 We typically meet on the third Saturday of every month at the Southwest Branch of the Kern County Library. This is open to everyone. All knitters and crocheters are welcome to join us. See how happy it makes us?